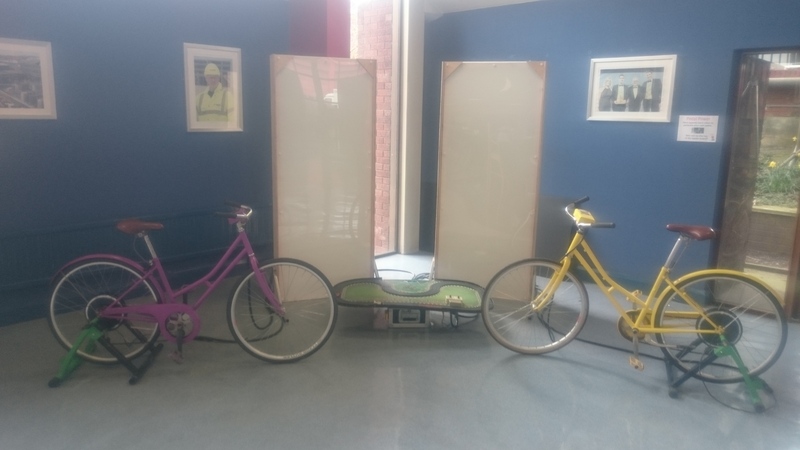 We are a social enterprise developing and hiring pedal or bike-power systems to events and organisations across the UK and beyond. Bike generators are a simple, fun, and practical innovation. 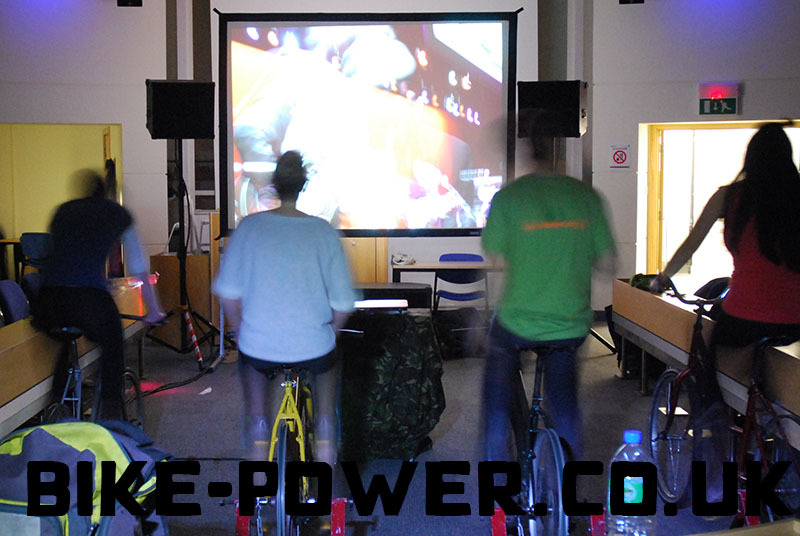 Allowing people to generate electricity through exercise. Either by powering up the sound system while a band or DJ performs on a stage, feeling the resistance when a 100watt light bulb flicks on, Powering a cinema, or any other of the services we offer. 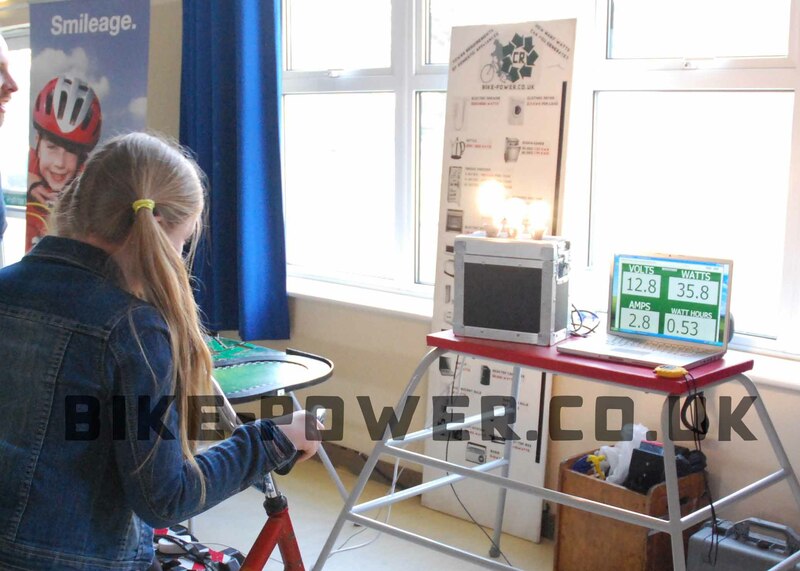 Scroll down for more..
We educate people about electricity in schools and the workplace as a great demonstration of the value of a watt and watt hour. By quantifying electrical power into units of peoples effort we can help people better understand the value of a watt putting power consumption at the forefront of peoples minds so they can save money and the environment which we so badly need to protect. We started out by providing a valid solution to the power requirements of events. Allowing events to break away from dependence on fossil fuel generators. 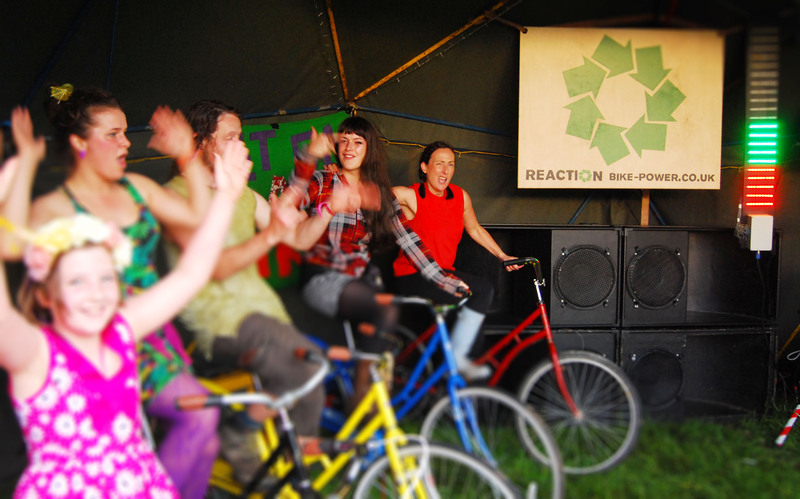 At events some people are always pedaling on the bikes and directly powering the show. The small (1Ah) Capacitor we use instead of a battery is only a buffer to smooth out the power levels over a few minutes. That way the audience is never too far from the thrill of getting the power meter to the top. As a complete system including power generation it is comparatively lightweight and easily transportable which opens up a lot of opportunities for doing events in hard to reach or ecologically sensitive areas and reduces our environmental impact from transportation to events. We also provide solar power. 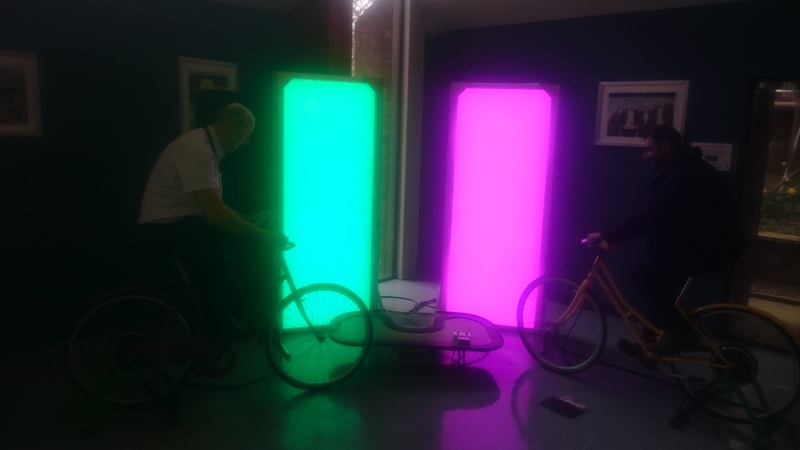 At events, our bike generators are open to the public to use. We have a special bright power meter which makes it clear to the audience how much power there is and when it’s time to step up and do your bit, or when it’s time to let the kids take take over!